Bert Edgar Lewis was born on 23 May 1887 at Paddington, son of John Lewis, and Martha. In 1911 he married Jessie Muriel McCrone at Glebe. There were two sons of the marriage. He died on 11 August 1956, aged 69 years. Jessie Lewis died 27 June 1975, aged 88 years. Lewis was a self-employed inner city printer at 69 Shepherd Street Chippendale and then at 87 Arundel Street Glebe; during the 1930s his two sons Eric and Leonard joined the printing business. Lewis was a member of the executive of Haymarket-Central Broadway Association, and stood as an independent in a City Council by-election in 1939. He was a vice-president of Glebe Rowing Club which he enthusiastically supported. Michael Hogan noted that Lewis as a minority Labor epresentative was socialised into accepted patterns of behaviour among non-Labor men between 1920 and 1925. 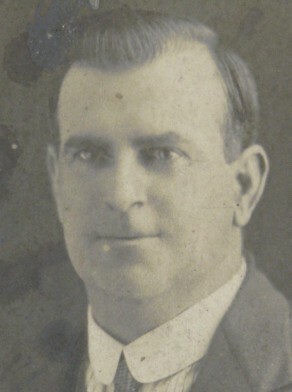 Bert Lewis stood as an independent against Bill Carlton for the State seat of Glebe in 1935 and 1938. One of two new Labor men elected to Glebe Council in 1920, and re-endorsed in December 1922, Lewis’ s loss of endorsement in 1925, Hogan suggests, raised a suspicion that a Catholic or Irish ‘mafia’ had taken over (Lewis was a Protestant freemason). Lewis stood as an independent against previous Labor colleagues in 1925 and 1928 and was defeated.